Layouts, graphics, tables, forms, downloads and various other webpage elements can behave in different ways depending on the browser you are using. Some browsers handle these things differently to others. So if things don’t seem right, try another browser. Thanks to Sue Woodgate for this great tip. Want to make a good impression when giving a PowerPoint presentation in front of an important audience? Open your PowerPoint file directly into presentation mode! Your PowerPoint file then opens directly into presentation mode. Thanks to ACE computer training for this tip. 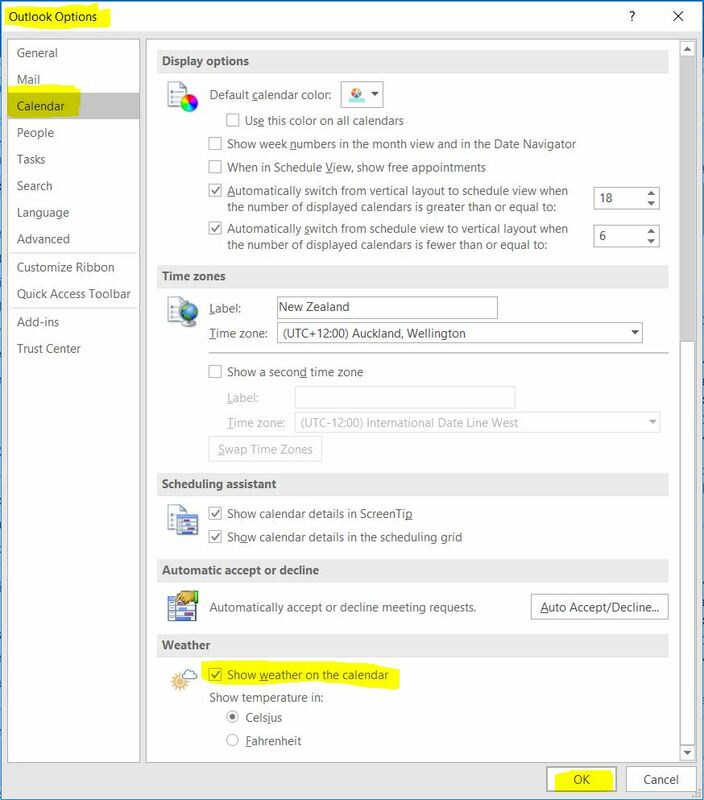 Should you wish to, you can display the weather in Outlook above your calendar. The Outlook Options dialogue box displays. The weather now displays above your calendar.